didn't do much today apart from having the best meal in my life! 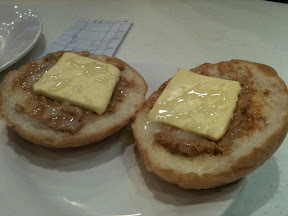 Had free breakfast and lunch in the hotel. Very good food. Free food taste better than paid food! 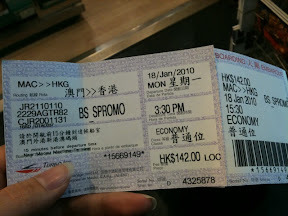 Left macau around 3 something. Slept all the way from taking ferry n taxi. 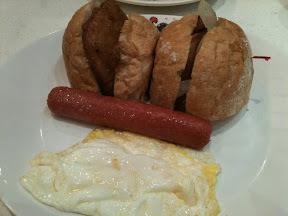 Anyway, I had the famous macau's famous pork chop bun and lil piggy bun. 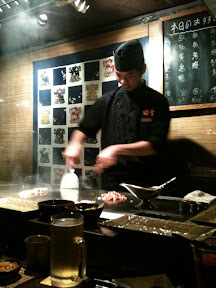 For dinner, we had the famous Akita robatayaki n teppanyaki. It's 700HK per person for food. See what is this? 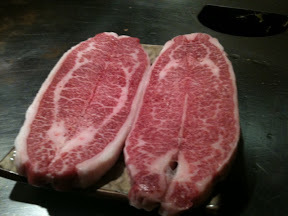 Its A5 Kobe beef! Look at the marbling throughout the meat! Medium rare and it melts in your mouth!! First time in my life have such high quality meat. Mouth blasting! The chef there not only can cook! 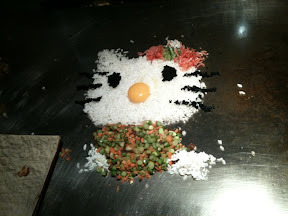 They can create food art and show us lots of magic too!! 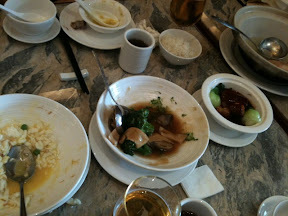 We had a lot of fun eating and the entertainment. Thanks to Alan putting much effort on planning all these.